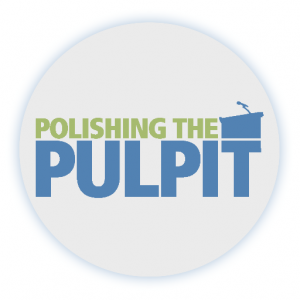 Polishing the Pulpit | Dr. Justin Imel, Sr.
I’ve written about my love for Polishing the Pulpit (PTP) before – during my time at PTP, my spirit is rejuvenated and I am encouraged to work all the more earnestly in God’s kingdom. I see many dear friends, whom I deeply love, once a year at Polishing the Pulpit. I love Sunday morning worship – singing with 3,000 of my siblings in Christ and hearing B.J. Clarke open the Word of God. I enjoy – probably too much – being in the Smokey Mountains and eating rich foods. What a grand week in August! When I am at PTP, I am reminded of how great the church is. I’ve mentioned before how rude people can be to the disabled: taking parking spaces; stepping over me as though I’m not there; and staring at me as though I’m green, have antennas sticking from my head, and just stepped off my spacecraft from Mars. Not at PTP: Brothers and sisters take such kind care of me. Mom and Dad pushed me and never complained. Mom skipped sessions she wanted to attend so that she could go with me, and she only hit one trashcan (I’m not going to let her live that down). Dad willingly pushed me, and he only hit one guy walking in front of us. Michael Whitworth pushed me a little way. Some teenager came up to Mom and took over pushing me to my next session; unfortunately, I never got his name. The overactive bladder is one of the worst symptoms of my disorder – yes, at the age of 41, Depend makes my underwear. Jeff Archey showed me where the nearest restroom was. Whenever my parents and I were entering a room or the convention center, if someone was near a door, that kind soul would open the door. During the week, I got together with Michael Whitworth (he bought me supper) and Steven Hunter. Both of these brothers wanted to check on me and see how my health and ministry were progressing. They refreshed my spirit simply by sitting and listening and telling me how their ministries were advancing God’s kingdom. The hotel had a complimentary breakfast. I knew about every guest in the hotel. At breakfast, I was privileged to sit with Naomi and Susan Elliott and Robert Alexander and Adam Carlson and maybe some others whose names escape me. These kind folks would even refill my coffee or grab another cinnamon roll so I didn’t have to get up (getting up is not the easiest thing in the world). I had several people come up to me and ask why I was in the wheelchair. Adam Faughn and Bill Dayton both asked about me. Simply having someone ask me what’s going on in a kind and Christian manner lifts my spirits. This world can be a dark and dreary place, and sometimes it’s easy to feel sorry for myself and to think that all hope is lost. Then, I see students at preaching schools – Ty Rhymes, for example – and I see that faithful proclamation of God’s truth will continue. I walk – well, get pushed – through the displays and I see the good Mike Glenn does with Lighting the Fire or Jerry Carmichael does in Grant County, Kentucky, and Stephen Rogers does with his with his Bible studies, I’m encouraged – I know that much good is being done in God’s kingdom and my spirits are greatly lifted. Polishing the Pulpit is a refuge for me in a fallen world. I wish it could be PTP all year round! This entry was posted in 30 Days of Thanksgiving, Evangelism, Family, Friends, God, Hope, Jesus, Pain, Polishing the Pulpit, Prayer, Sunday, thankfulness, wheelchair. Bookmark the permalink.